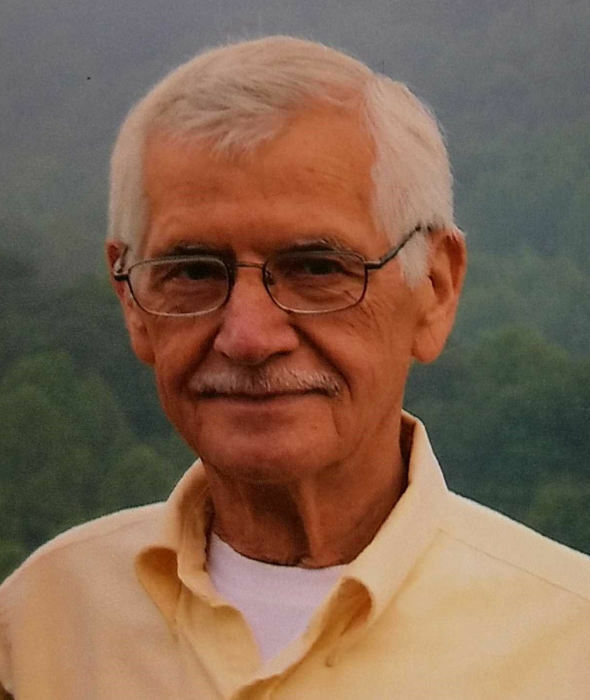 Clyde, James W. Frady, 84, passed away on Monday, March 25, 2019 at Haywood Regional Medical Center. A native of New York, he was a son of the late Elmer and Stella Stanton Frady. In addition to his parents he was preceded in death by two sisters, Lena Saunders and Marion Ammons. James proudly served in the United States Air Force retiring as Master Sargent serving for 20 years. He also retired from Dayco Corporation as a Quality Control Manager after 20 years and was a member of Lake Hills Church. James enjoyed golf, spending time with his family and friends and especially his grandchildren who affectionately called him Opa. James is survived by his wife of 62 years, Dale Hall Frady; daughter, Desi Taylor, and her husband, Reverend Steve Taylor; three sons, Alan Frady, and his wife, Donna, Gary Frady, and his wife, Tammy, and Jimmy Frady, and his wife, Lesa; two sisters, Joyce Brock, and her husband, Boyce, and Linda Sue Nold, and her husband, Bob; nine grandchildren; and ten great-grandchildren. A celebration of Life will be held at 2:00 p.m. on Thursday, March 28, 2019 at Cornerstone Fellowship Church with Reverend Steve Taylor officiating. Military Honors will follow. The family will receive friends from 12:30 until 2:00 p.m. prior to the service at the church. Memorials may be made to Lake Hills Church, Youth Program, 205 W. Brook Drive, Waynesville, NC 28786. The care of James has been entrusted to Wells Funeral Homes.